Since its concept stages and original publication in 1995 and 1996, "Collins Radio Classics" has been developing in cyberspace as original Collins archives and resources are being re-discovered and compiled. It is well established that Art Collins and his Collins Radio Company were star players in the innovative heritage of ham radio. There can never be enough said or done to commemorate this outstanding equipment and the contributions made to ham radio by Art Collins. It's always a pleasure to explore the resources that each Collins radio web site has to share. 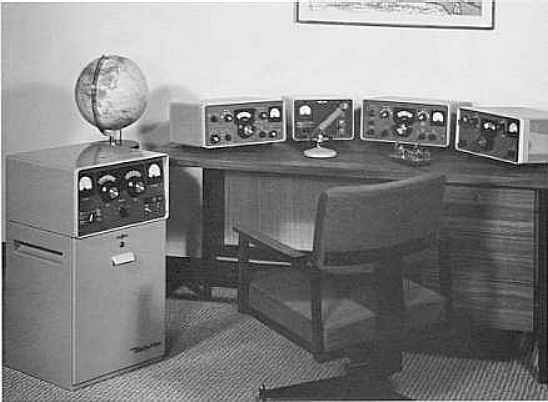 The equipment that spawned so many dreams with hams worldwide, can now be appreciated through its history, original ads reflecting the golden days of ham radio, photos, specifications, and other offerings of cyberspace. If your interest in Collins radios is for the appreciation, restoration, operation, or just for nostalgia; I hope that it can lead to a classic Collins radio station in your own ham shack ... A real dream come true! 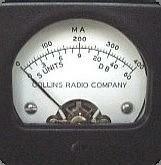 This site honors the Collins radios manufactured for ham radio use as well as some of the commercial radios that later became popular for amateur applications. The present format will be used as a backbone for future development. More equipment photos, technical information, and contributions of material will be added. My XYL, a former Collins Radio Company (Cedar Rapids) employee from the good old days, will also be pitching in. Your comments, suggestions, and Collins related contributions are always welcome and will be credited. Intro - Introduction: this page (Collins Site Home). Eqpt - Equipment Index: photos, specifications, accessories. Ads - Ad Index: favorite classic Collins ads. Briefs - Briefs Index: supplements, modifications, tips. Links - Links Listing: other Collins ham related sites. Copyright © 1997-2018 W5AM (radioing.com, collinsradios.com). All rights reserved. This website is designed for informational purposes only and is not associated with Rockwell Collins, Inc.